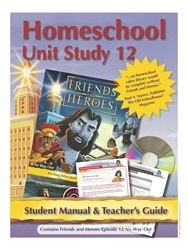 *Please note: The corresponding Friends and Heroes video is required for this unit study. Options which include only curriculum on CD-ROM or by download are provided for those who already have the appropriate video episode on DVD, via download, etc. 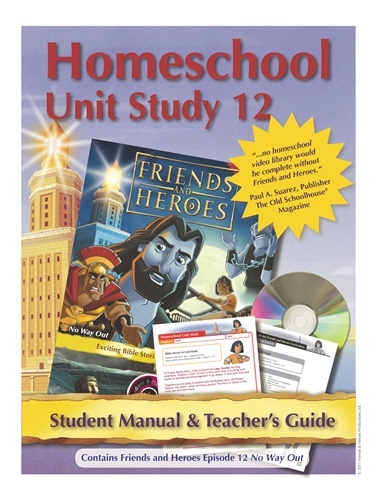 Friends and Heroes award-winning adventures and Bible stories on DVD accompanied by an exciting, cross-curricular Homeschool Unit Study - easy-to-use, hands-on, attractively designed, colorful and FUN! The material is highly adaptable and may be easily incorporated with your other homeschooling activities to provide two to four weeks of learning. Ideal for students 7 to 11 years of age.